It’s no secret that ticks are everywhere here in Pennsylvania – and they bring Lyme Disease. PA has the unfortunate honor of having the most confirmed Lyme disease cases of any state. Urgh. Now that you may be outside more, you need to take precautions. You should also be sure that if you have pets, that you take of them as well. Lyme Disease is often fatal for dogs. As I mention above, ticks carry Lyme Disease and other diseases. 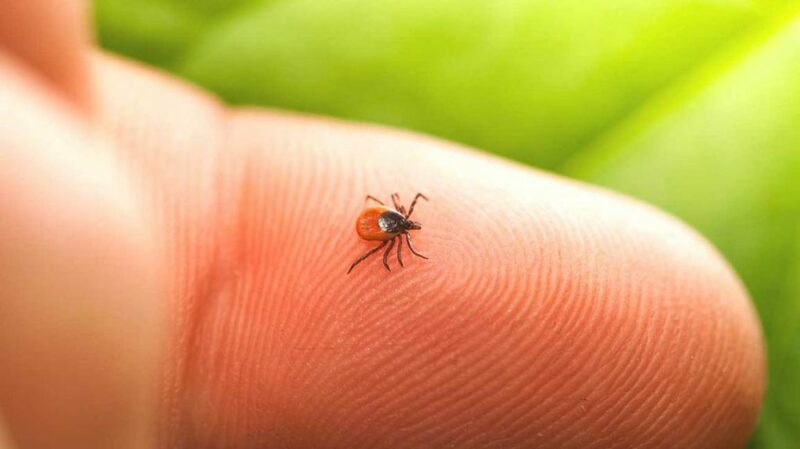 Spring is a particularly “dangerous” time for ticks because as the weather is still chilly, they are little heat seeking missiles and will instinctively go towards warm mammals when they are nearby. As you pass through grasses and other woodsy places, the tick will latch onto you as you pass by, then crawl upwards looking for warm dark places to bite. It makes sense to stay in the middle of paths when hiking to try to avoid brushing by grasses, etc. 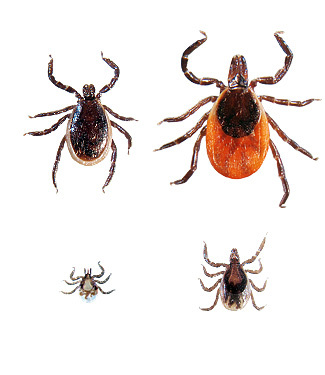 There are four types of common ticks in PA – the “Deer” tick and American Dog Tick are the most common and like their names suggest, they are often found on deer or dogs. Both will feed on humans and other mammals. The other two common ticks are groundhog and Lone Star tick – named for the small white dot on its back. There are lots of good resources on how to avoid ticks and what to do if you find a tick on you. One that I like is Get Outdoors PA.org. Of course, if we avoid likely high-risk tick habitat areas – as they suggest – that is the best method, but those are often the areas where we want to hike! It is smart to wear long sleeves, long pants, socks, and insect repellant. According to Get OutdoorsPA.org, a recent study showed that folks wearing permethrin-treated sneakers and socks were 74 times less likely to have tick bites. You can also purchase clothing that is tick repellant from sources such as REI https://www.rei.com/. Obviously, check yourself often while hiking and immediately following a hike. Shake out your clothing to make sure that there isn’t a tick hiding that will attach itself later. Ticks are small black spider-like looking critters that can be quite small. They may look like a tiny speck or dirt or freckle so search carefully! Be sure to check your pets every time they have been outside. Dogs and cats should have tick collars and have your dog receive the Lyme vaccine. Again, Lyme Disease is very, very hard on dogs. It is well worth taking preventative measures rather than to lose your beloved friend. Plus, ticks can transfer from pets to you. Remove a tick as soon as possible, hopefully, before it attaches to your body. Once a tick has attached, use a tick tool or tweezers and grab it as close to the skin as possible. (We keep one in our glove compartments of our cars.) Gently pull up very slowly and wait for it to release. You should not twist or turn it. Next, wash the bite area and your hands with soap and water. Some sites suggest taping the tick to an index card with the date written on it and storing in the freezer for a few months in case you show symptoms of Lyme disease. Others suggest seeking medical attention immediately, particularly if you believe the tick has been attached for more than 24-hours so that you can start a course of medicines to prevent Lyme Disease. I’ve seen some sites and heard some friends say to put natural oils or dish soap on the ticks and they will “back” out or unattach themselves BUT that could be very dangerous. The tick may actually become agitated and salivate more. Not good. Lyme Disease is nothing to mess around with. If left undetected, it can cause serious, long-lasting consequences. You should immediately visit your doctor if you show any flu-like symptoms or a rash develops (often it may be a bulls-eye rash) 1-30 days after the bit. If you feel unusually tired, have joint pain or have other unusual symptoms such as headache, you should also seek medical attention. Be sure to let your doctor know that you have been outdoors – I know of folks who have suffered from Lyme disease without knowing they were bit by a tick while gardening or cutting the grass. A resource on Lyme Disease: https://www.cdc.gov/lyme/index.html.